The Village of Hempstead and Nassau County Legislator Siela Bynoe recently celebrated Hispanic Heritage Month with the Village community. Village of Hempstead residents demonstrate Hispanic American dances for an audience of more than 100 community members. Hempstead, NY - November 3, 2016 - The Village of Hempstead and Nassau County Legislator Siela Bynoe recently celebrated Hispanic Heritage Month with the Village community. Village of Hempstead Deputy Mayor Luis Figueroa and Trustee Don Ryan spoke about the contributions of the Hispanic community to the world and to Hempstead, and honored notable Hispanic residents in the Village who have greatly contributed to the community. Residents celebrated this rich culture of Hispanic Americans embracing, enriching and enabling America through an evening of food, dance, art and storytelling. The Village provided traditional food to celebrate Hispanic culture such as pupusa, empanadas, tamales and tacos from El Salvador, Colombia, Guatemala and Honduras. Nassau County Police Chaplain, Pastor Derek Garcia was the Keynote speaker. 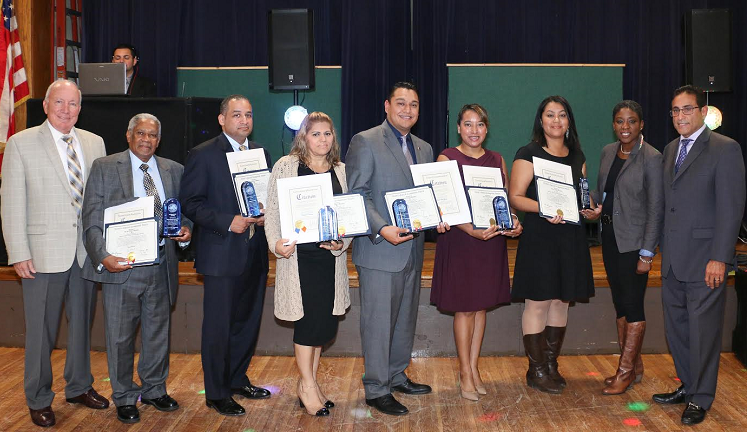 Honorees included: Leadership Award recipient Leslie Gomez, Sr.; Community Service Award recipient Angel A. Perez; Mayor’s Recognition Award recipient Vivian Pereira; Mayor’s Recognition Award recipient, Pastor Derek Garcia; Community Service Award recipient Biena Depena and Mayor’s Recognition Award recipient Karla A. Guerra. Subject: LongIsland.com - Your Name sent you Article details of "Village of Hempstead Celebrates Hispanic Heritage"